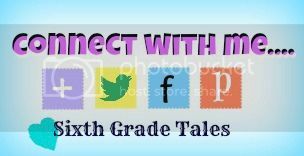 Sixth Grade Tales: Why study history? I have been thinking hard about how to start my first social studies unit. In my county our first unit is about history and geography. Our goal is basically to get students to understand why and how we study ancient civilizations. Last year I started by defining social studies words we would be using all year and then making a foldable about people who study history. This year I want to start by explaining why it is so important for us to study history. Below is the lesson plan I have came up with so far. If you have any suggestions for making it better I would love any advice. 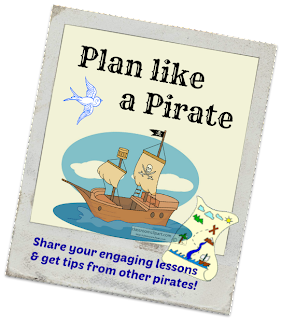 At the bottom is a link up to my new linky party called Plan like a Pirate. 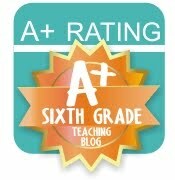 If you have a lesson plan you would like to share feel free to add it! Goal: What are some benefits to studying history? Warmup activity- Describe a past event that you have learned from and how you changed after learning from that event occurring. For example, I now keep an extra pair of shoes in my car because I once broke the straps on my flip flops and had to walk around bare foot. Lesson: Students groups will become “reporters” that will be figuring out how a person in history shaped the modern day world. Each group will get a bag with clues and their job is to come to an agreement as a group about how the person or event in their bag shaped history. After students have had about 10 minutes to discuss with their group, have students share their findings with the rest of the class. It helps to shape our identity. Helps us see viewpoints of other people. Closing: Have students turn and talk to share their warm-up activity further explaining how learning from the past is important.